Joy Behar married her longtime partner turned husband Steve Janowitz. Celebs often face controversies regarding their relationship. Similar is the case of Joy Behar, who came to limelight after getting married the second time waiting exactly 29 years after her divorce with her first husband. 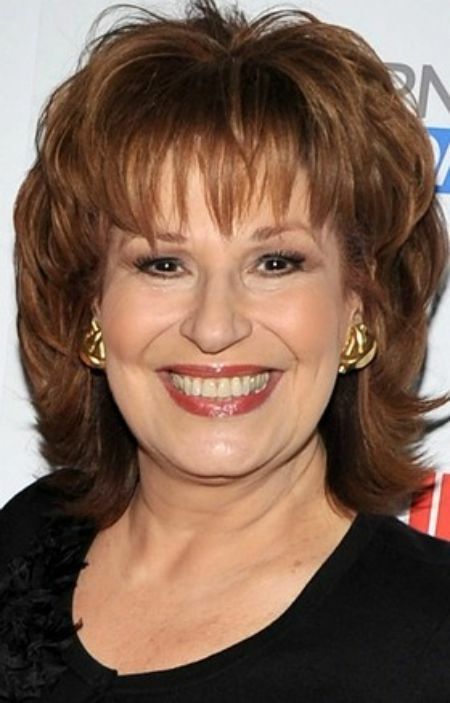 The American comedian, writer, and actress, Joy Behar is the co-host of ABC daytime talk show. This often rose questions like, 'Why so late?' 'What is the reason behind her first divorce?' Let's find more about Joy Behar married life including her past relationship and divorce with her ex-wife. Joy Behar married to her longtime partner Steve Janowitz tied the knot in New York City on August 11, 2011. However, she doesn't share a child at this stage and even kept her surname from her ex-husband. The 76 years old actress shook the world after she married so late in her life. The writer often got questions about her living relationship, 'What persuade her to vow at this stage of life'. Above all, she made a beautiful statement behind her lovey-dovey at the age of 68. After the gay marriage became legal in New York, the duo made a commitment with feelings of responsibilities in their life. "It did have an influence on me. It brought to my consciousness why gays needed to get married." The actress admitted she got influenced into marrying even at her old age thanks to the legal acceptance of gay couples even though she isn't one. "If he was going to get down on one knee, I wanted it to be during the time when he could still get up from one knee!" Be that as it may, the couple resides a healthy relationship for past eight years. Before Joy got hitched with Steve Janowitz, the View co-host previously live a marital relationship. Joy previously married to Joseph Behar on 1st January 1965. Everything went fine initially and were even blessed from a godly gift. In 1970, the duo shared an angelic daughter, Eve Behar. The family lived a happily married life until 1981. Later, the chemistry between them got mixed into quarrels and misunderstandings. So, after a decade of their first-born child, the love-bird parted their ways after divorcing on March 19, 1981. Their child Eve Behar is also married women now, She exchanged vows with Physician Assistant, Alphonso Anthony Scotti in 2007. The newlywed couple gave a gift to their parents with a child name Lucas in February 2011. As of now, the love-bird maintains a strong relationship with him. Born on October 7, 1942, in Williamsburg, New York City, New York, United States. She attended Washington Irving High School. Also, she graduated from Queens College and Stony Brook University with BA in Sociology and MA in Major English, respectively. She started her career as an English Teacher in Lindenhurst Senior High School. The 78 years old actress stands 5ft 4-inch on the ground.